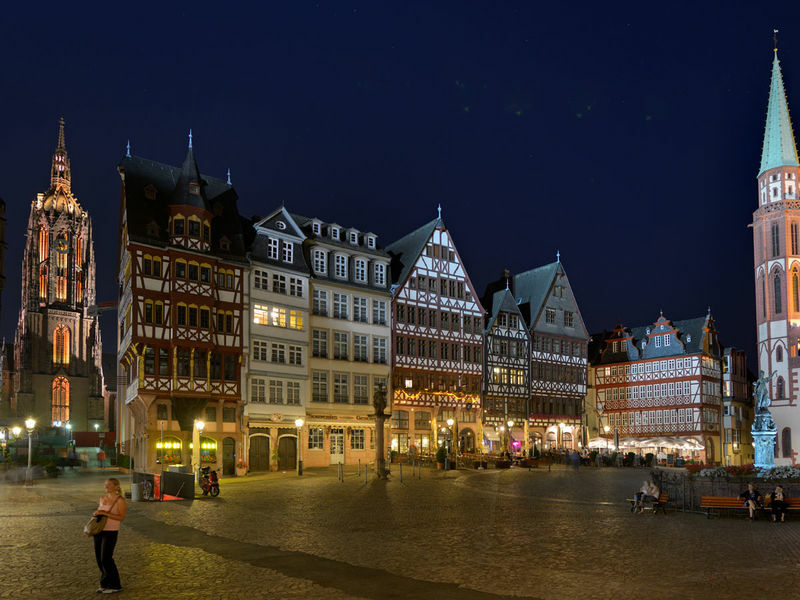 The historical old town centre, including its splendid half-timbered houses, was rebuilt according to the original plans in 1986. 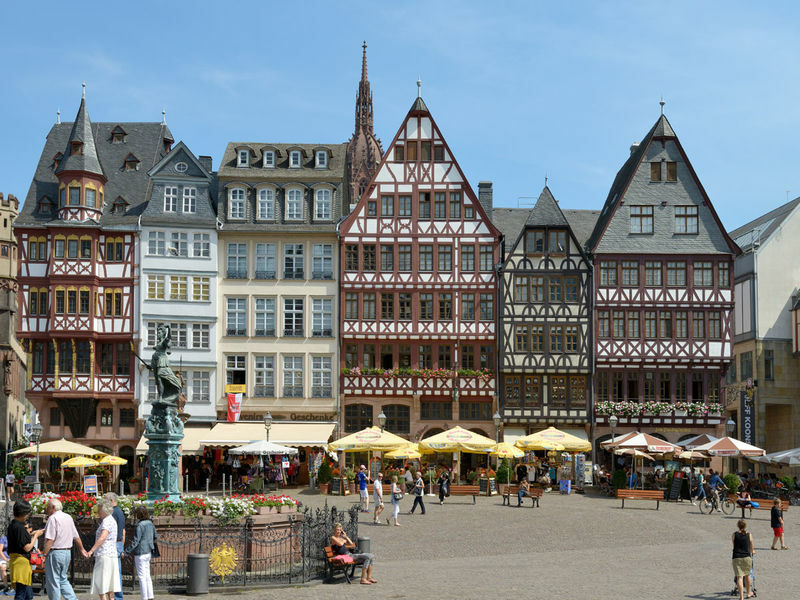 It now represents a classic example of the traditional half-timbered architectural style of times gone by. Every single house bears its own name. 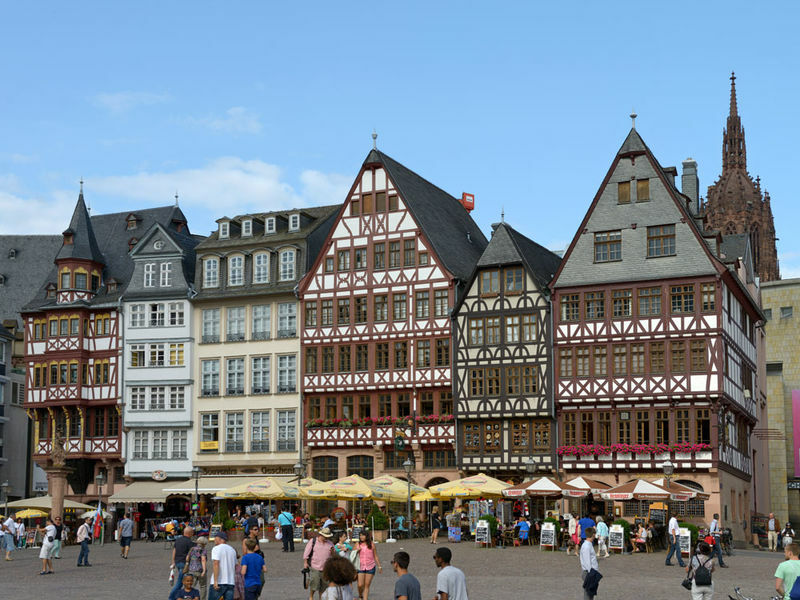 In the 17th century, the corner house, named "Grosser Engel", became the home of Frankfurt's first bank. The Römerberg is cobblestoned and leads to the River Main on a slight decline.